Alright, alright, break time's over. I'm going to spend the next few weeks fixing some long overdue bugs and implementing one or two hot new gameplay features. 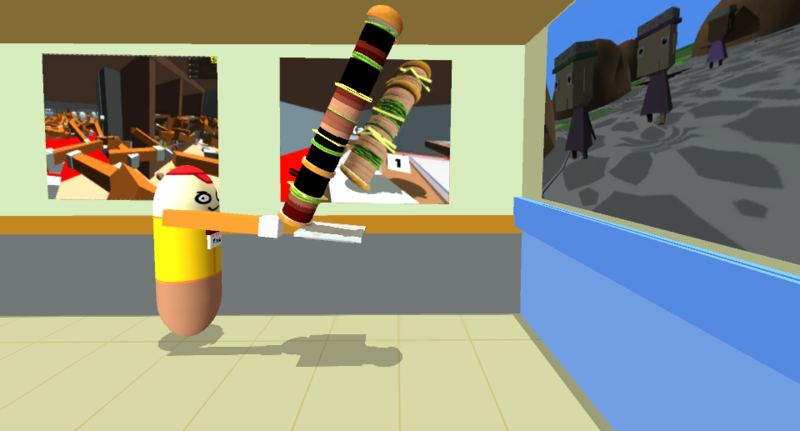 If you guys haven't seen it, there's an article regarding Citizen Burger Disorder over at Kotaku.com.au! Check it out! Finally, I plan to launch a Steam Greenlight pretty soon. Exciting stuff! I think moving to Steam is a pretty logical step for the game, although I'm not quite sure what that means for the web version. I'm pretty much making this stuff up as I go along. Thanks to Mason and Andrew (left) and Jorge (right) for the huge burgers!